For whom does the bell toll? Well, if you’re walking to Usdan to grab lunch after class, chances are it tolls for thee. Each day around noon, College Row is treated to one or two songs from the vast repertoire of the South College bells, ranging from old classics like “Autumn Leaves” and “Auld Lang Syne” to Broadway favorites like Sweeney Todd’s “Joanna” and the Sound of Music’s “So Long, Farewell,” as well as an electric range of rock, pop, and hip-hop like “Hotline Bling,” “All Star,” and “When I’m Sixty-Four.” With the exception of “Auld Lang Syne,” these musical offerings reflect the more modern chapter of the bells, which arrived at the University almost 50 years before the first hotline was even able to bling. The original South College bells were offered as a donation in 1916 from West Virginia Congressman William P. Hubbard, Class of 1863, on behalf of himself and the rest of his graduating class. For an unknown reason, the single South College bell was removed in the 1860s, and the tower remained without a bell for over 50 years. Wesleyan’s third president, Stephen H. Olin, was delighted to receive the gift. “It seems almost a miracle that after more than a century, the South College tower should receive not a bell tongue alone but a whole chime,” he remarked in a letter to Hubbard. Upon the advice of a New York architect, the University contracted 11 bells from the London-based foundry Mears & Stainbank, the same company that built the famous Liberty Bell. Mears & Stainbank agreed to cast the bells for around $2500; however, due to constraints placed upon manufacturing by the first World War, the bells were not cast until December of 1917, and could not be shipped to the University until August of 1918. When the bells finally arrived in October, the University hired Henry Bacon and Daniel F. Gibbons to design a new bell tower and install the bells, respectively. In 1917 the class of 1863 gave us to sound the summons of this college. For the young man, heir of the past, maker of the future, I ring. For the teacher who enlarges the mind and strengthens the will, I ring. For the preacher of the fear of the Lord, the beginning of wisdom, I ring. For the scholar who preserves learning, I ring. For the philosopher who ennobles life, I ring. For the man of science who widens knowledge, I ring. For him who in letters interprets life, I ring. For him who in art beautifies life, I ring. For the citizens, free and just, prepared to serve the state in peace or war, I ring. For him who in any station seeks not to be ministered unto but to minister, I ring. The new bells were rung twice per day: once to wake up the campus and call them to mass at 5:30 a.m., and once in the evening to announce mandatory chapel vespers. Little is known about the bells in the several decades following their dedication in 1919. Professor of Music John Spencer Camp told the Argus in the 70s that the bells were played rather sporadically, with no designated ringers or ringing schedule. “It is all a bit whimsical,” he noted. 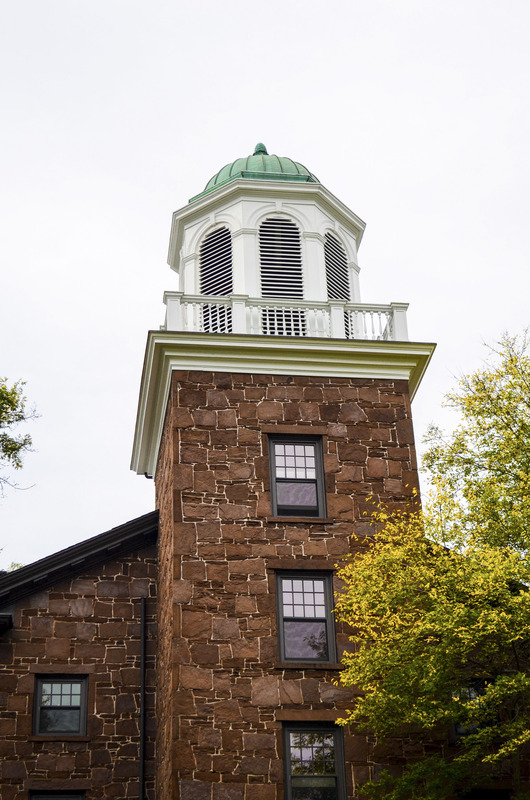 The record resumes in the late 60s, when President Victor Butterfield donated $16,500 to repair the existing bells, as well as purchase five more bells for the chime. The new bells were also commissioned from Mears & Stainbank, this time under the instruction of James Akright, an instrumental architect in Kentucky. Akright constructed a system of rosewood claviers for playing the bells, as well as a practice board for novice ringers. Somewhat presciently, he also designed the system so that it could house seven extra bells, forming a carillon. With the addition of the new bells, the musical possibilities expanded, allowing ringers to play Johnny Cash and the Beach Boys alongside the traditional hymns, with the exception of the fight song and alma mater, which they were still somehow unable to play. However, despite the vast improvement of the bells, the University still struggled to find students willing to play them on a regular basis. The only consistent schedule for the bells was at commencement ceremonies. The guilds of ringers worked under secrecy and often lacked organization, so much so that in 1998 there were no ringers to perform at commencement. In the fall, The Argus printed a short article calling for bell ringers. The next day, Holly Schroll ’02 appeared at Frenzel’s door asking for lessons. He took her up to the bell tower and taught her everything he knew in fifteen minutes. Thus, the Bell & Scroll society, named after its founding member, was born. In the early 2000s, Frenzel and the members of Bell & Scroll led a fundraising campaign to add seven more bells to the tower, creating a full carillon of 24 bells. The bells, which cost approximately 18,000 dollars each, were commissioned from Dutch foundry Petit and Fritsen. At the dedication of the eight new bells, Bell & Scroll played four songs: “South College Shuffle,” “Twenty Four Bells,” “Happy Birthday,” and the alma mater “Ring the Bells of Old South College,” which the bells finally had the proper range to play. The ceremony was overseen by Frenzel, who acted as the advisor to Bell & Scroll. Today, Frenzel pretty much lets the members of Bell & Scroll run things. Bell & Scroll is in charge of setting the program, teaching novice ringers, and recruiting new ringers. According to an anonymous Bell & Scroll member, they recruit anyone they think would like to ring. Once students are inducted into the semi-secret society, they are free to be as open about their role in the society as they’d like. The Bell Tower is also shrouded in some mystery of its own. 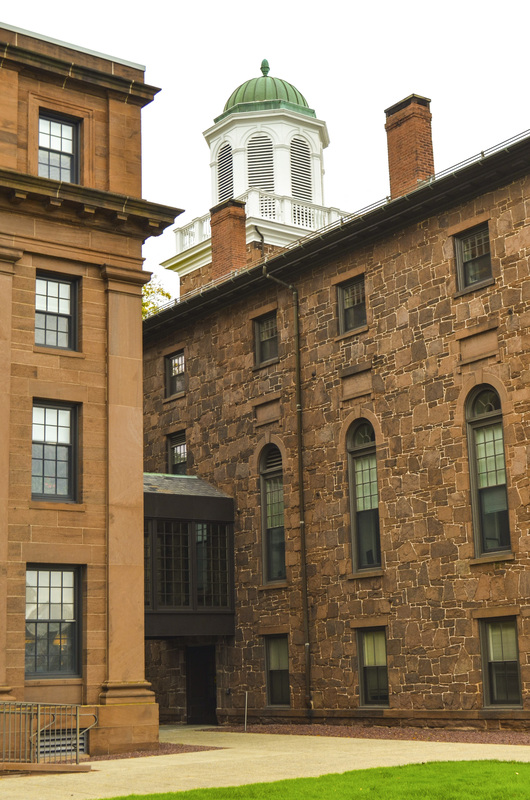 According to lore, a graduate student once spent a summer living in the tower. Frenzel says it’s more than just local legend. The bell tower has seen its fair share of history in the past century and will continue to charm South College with its afternoon tolls. If you’re feeling adventurous, climb the staircase to the tower during lunchtime and walk right in. After all, the bells toll for thee.